Angela Taylor was born and raised on the West side of Chicago. Her love for reading and writing started at an early age. She began recording her thoughts, experiences, poetry, short stories, and essays in her journals and has continued to do so throughout the years. Angela is an ACE Certified Fitness Instructor and Personal Trainer. She is also a certified Zumba instructor and has taught various fitness classes in several fitness facilities in and around the Chicago land area, including her Alma mater the University of Illinois at Chicago. She started her own personal training business in which she led and directed fitness programs, boot camps, and conducted small group training and circuit classes. She also founded a walking club, in addition to training her individual fitness clients. 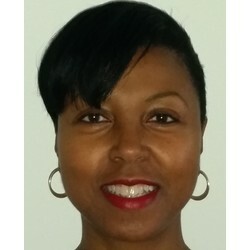 After graduating from the University of Illinois at Chicago with a bachelor’s degree in kinesiology, Angela began chronicling her adventures (relationships, activities, changes in perception and behavior, mental and emotional states, epiphanies, understanding obtained by listening to people with knowledge and wisdom) and the many books she has read. During this time, she absorbed invaluable insight that helped her restore her body, mind, and life back to their natural healthy forms of being. Angela realized that once she stopped the cycle of denial controlling her life, she was free mentally and emotionally to begin making changes to her life that brought her back to authenticity. Acknowledging, examining, and unraveling the denial stories that kept her from moving beyond her present circumstances allowed her to uncover and take advantage of the opportunities available to her. It was then she began to feel better, release excess body fat, feel love, reclaim her energy, joy, and peace...and begin writing The Beauty And Vanity of Denial: Unmask Your Stories and Embrace Your Truth. Angela still lives in the Chicago area collaborating with and enjoying her new love relationship; writing poetry, short stories and essays; walking with her Gracie; conducting fitness classes and fitness training and meeting and communicating with her readers as an author, speaker, and workshop presenter.